The U.S. foreclosure inventory declined 34.4 percent in July compared to July 2013, according to a report by Black Knight Financial Services, a data services company for the mortgage and loan services industry, Banker & Tradesman reported August 26, 2014. July marked the lowest level of foreclosure inventory since March 2008. There were 90,700 foreclosure starts in July, up 2.7 percent compared with June, but down 19.6 percent compared to July 2013.The total U.S. loan delinquency rate – loans 30 or more days past due, but not in foreclosure – was 5.6 percent, down 1.1 percent from June and down 12.1 percent from July 2013. The top five states with the greatest number of delinquent loans as a percentage of all loans were Mississippi (14.2 percent), New Jersey (12.4 percent), Florida (10.9 percent), Louisiana (10.9 percent) and New York (10.8 percent). Massachusetts ranked fourth among states for the greatest number of seriously delinquent loans – loans 90 or more days past due – with 3.4 percent of Bay State loans seriously delinquent. The other states making up the top five were Mississippi (5.3 percent), Alabama (3.8 percent), Rhode Island (3.5 percent) and Louisiana (3.4 percent). The total inventory of distressed properties across the country, including those with delinquent loans and those which are in foreclosure, numbered 3.79 million in July, down 49,000 from June and 814,000 less than July 2013. In other foreclosure news, real estate data provider Core Logic reported that completed U.S. foreclosures declined 21.2 percent in July. There were 45,000 completed foreclosures nationwide in July compared to 57,000 in July 2013, Banker & Tradesman reported August 27, 2014. On a month-over-month basis, completed foreclosures were down by 8.5 percent from the 49,000 reported in June 2014. Before the housing crisis, completed foreclosures averaged about 21,000 per month nationwide between 2000 and 2006. Since the financial crisis began in September 2008, there have been approximately 5.1 million completed foreclosures in the United States. Massachusetts foreclosures declined 28.9 percent for the 12 months ending July 31, 2014, according to CoreLogic. 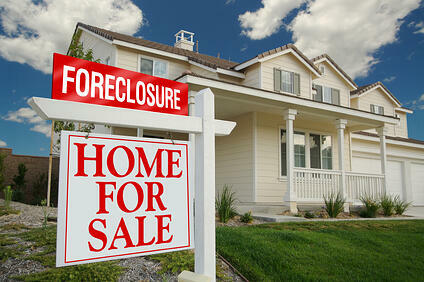 The number of foreclosures declined from 3,495 to 2,486. A common misconception among consumers is that there are special lists or Web sites with foreclosure listings; however, the vast majority of Massachusetts foreclosure properties for sale are listed through traditional real estate agents and available for everyone to see on the multiple listing service (MLS).